Rosa Rubicondior: Hallelujah! Satan is Dead! Pastor Paseka Motsoeneng is a very busy man and constantly at God's beck and call, but at least Christians and Muslims can sleep soundly tonight. Satan is dead! He was killed by Pastor Paseka Motsoeneng, aka Prophet Mboro, who went to Hell on a special mission from God's to kill the world's number one enemy. ...when I got to hell there was a queue of millions of people waiting to be braai’d [roasted] by Satan. I even saw some prominent South African politicians. I was so shocked because they lived like angels here on earth. I thought they went to heaven. When Satan saw me he panicked and directed his army to kill me. Like Samson in the Bible, I defeated them. Satan was my last victim. And not a mark on him! However, for reason that might be connected to the fact that he received far more complaints than plaudits, his Facebook page with the announcement was taken down about 30 minutes later. It's not clear whether it will be reinstated or more details of the sacred mission and mighty victory revealed. 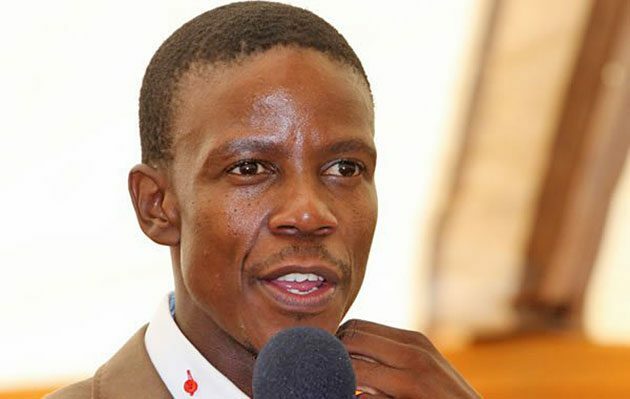 There is, of course, no connection between this fantastic victory over Satan and 'Prophet' Motsoeneng begging his congregation for money to help him stop the South African government bringing in measures to regulate churches such as his, by requiring then to register. He is trying to sue the CLR Rights Commission which has just produced a reports on the commercialisation of religion and the exploitation of people's beliefs (pdf). In December 2015 Pastor Mboro appeared before the CLR Commission to give evidence in favour of ministries such as his Happening Ministries. If the report is implemented, he might find he needs to prove his qualifications and show that he is not commercialising religion and exploiting vulnerable people. So keen is he to prevent the Commission's report being implemented that he has now demanded his congregation finance his litigation and has threatened to close down and board up his church unless they do so! That's teach them! Unless they cough up, they'll no longer be able to hear the preaching and begging of the Prophet whom God sent to personally kill Satan! Back in 2016, Pastor Mboro was invited into Heaven to spend a day with Jesus and take lots of photographs of himself and Jesus which he then offered for sale at the bargain-basement price of £238-266. Unfortunately, having taken lots of orders, some unkind thief stole his camera from his car! But at least Jesus must have been so impressed that he spoke to God about how best to get rid of that pesky Satan once and for all. Just a shame he couldn't prevent those lovely photographs from being stolen. I wonder how Christians are going to explain all the evil in the world, what with Satan now having met his maker! Did they at least get a refund since they didn't receive the photos that they paid for? You hear that Christians? No more bitching and blaming Satan! #Glory! Motsoeneng can hardly be accused of criminal activities. He tells people a story, they take it for the truth and give him money. Like Scientology,and the Catholic Church. But the Catholics did far worse things. They murdered millions. I never met Jesus, but I talked to aliens and even filmed them. After they left in their saucer, a black crow with yellow eyes came from the sky and snatched the camera out of my hand. Orders from the Vatican, I'm sure!